I’ve been aching for the return of Crazy Ex-Girlfriend ever since the third season wrapped. Hilarious, heartfelt, and tons of fun, it’s probably my favorite show currently airing on television. Knowing I have to go so long to see more of it is torturous. Which is why I put together a reading list to get me through the interlude! If you’re missing Crazy Ex-Girlfriend as much as I am, be sure to check out these fantastic titles. Crazy Ex-Girlfriend tackles big topics with a sense of unflinching honesty and hilarity, and so does Tiffany Haddish. 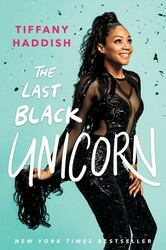 If you loved Girls Trip, or her stint hosting SNL, you’ll love her collection of bright, wild essays. There’s a particular essay where she recounts a hysterical, jaw-dropping revenge scheme against an ex-boyfriend that will definitely fill the void left by Crazy Ex-Girlfriend. 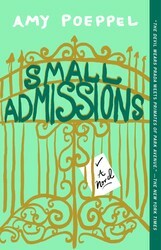 Like Rebecca Bunch, Small Admissions’ protagonist Kate Pearson is at a bit of a crossroads. She’s been dumped by her almost-fiancé and has failed to roll with the changes, instead retreating into herself. When she finds herself as the new admissions counselor for the prestigious Hudson Day School, she’s thrown into the wild world of elite prep school politics. This novel is comical, razor-sharp, and absolutely delightful. I confess: I, too, am a member of #BachelorNation. And as a proud member, I love Andi Dorfman. 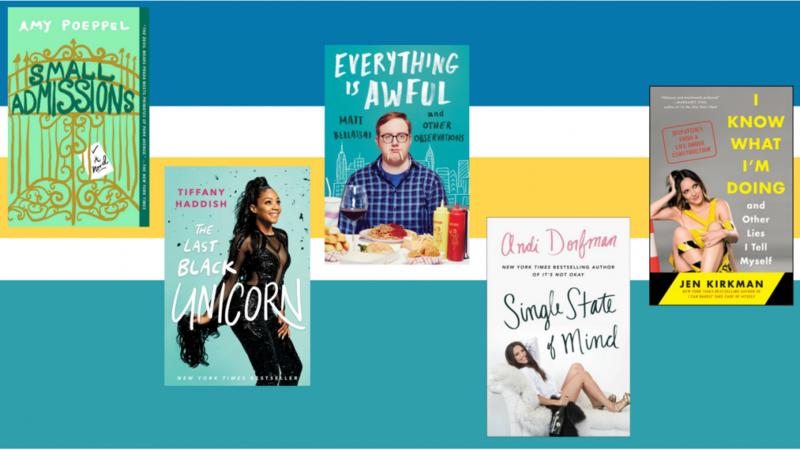 One of the best Bachelorettes in history has two books, but for this list, I’m picking her latest, Single State of Mind. In it, Dorfman navigates singleness with a sense of grace and humor. Her stories about celebrity Tinder and watching her ex propose to someone else on live TV might not directly relate to you, but like Rebecca’s musical interludes, they’re cathartic, hilarious, and downright charming. If the thing you love most about Crazy Ex-Girlfriend is the cringe comedy, look no further than stand-up comedian Jen Kirkman’s essay collection. Equal parts laugh-out-loud funny and genuinely profound, Kirkman’s honesty about her mistakes, her love life, and her own mental health will absolutely get you through this hiatus—and have you cracking up the whole time. Crazy Ex-Girlfriend is a fantastic show for many reasons—the brilliant musical numbers, the realistic discussions about mental illness, the diverse and fantastic characters—but the main reason I started watching it is simple: it’s hilarious. And while it’s gone, I miss being made to laugh as much and as often. 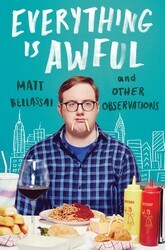 Which is exactly why I’m so grateful for Matt Bellassai! He brings his caustic wit to this book of essays, which made me laugh out loud so much that people on the train literally moved away from me. It’s the perfect book to fill the bleak, Crazy Ex-Girlfriend-less days. Casey is a former subsidiary rights assistant for Simon & Schuster Children's Books. She was born and raised in Chicago, IL, and attended Emerson College in Boston, MA. Lately she's been really into romantic comedies, but she's always a sucker for a good dystopia or thriller. Outside of reading and writing, she also enjoys long, aimless walks through the city, listening to podcasts, petting dogs, and drinking what could be considered an unhealthy amount of coffee.